Welcome to the latest edition of road.cc’s buyer's guide to Six of the best cheap hybrids in which you’ll find everything you need to know to find the right budget bike for you, plus our pick of 6 of the best budget hybrids. With 700C wheels, wide-range gears, flat bars and cantilever or disc brakes, hybrids are midway between road and mountain bikes. They're the UK's most common and best-selling bike type. The upright riding position makes them great for traffic, and for leisurely rides in the country — slow down and sniff the flowers. Oddly few hybrids come with practicalities like mudguards and rack. Budget £50-100 for them and get them fitted when you buy the bike. You'll be glad you did. These bikes are inexpensive transport par excellence, paying for themselves in just a few months if you live in a major city. Hybrids are Britain's most popular style of bike because they're practical, comfortable urban transportation that's also ideal for pootling round the lanes or exploring forest roads at the weekend. The name comes from a design style that bridges mountain bikes and road bikes. A hybrid typically has the upright riding position and flat bars of a mountain bike, but the skinny tyres and 700C wheels of a road bike. Within that description there's a lot of variation. At one end of the scale are flat-bar road bikes, which as the description suggests have the very skinny tyres and lightweight, close-coupled frames of a road bike, but with a flat bar. Just the thing for zooming through sun-drenched Tuscan lanes, if not so great for rainy, potholed British city streets. Fatter tyres with deeper treads are more common though, and usually provide grip and cushioning that make these bikes really versatile. You can easily take a hybrid places where you'd hesitate to ride a road bike, or where very skinny tyres need a high level of skill and care. Canal towpaths, forest roads and easier singletrack trails are all accessible. As transport, hybrids often come with accessories that other bikes lack — even relatively practical ones like cyclocross-styled urban bikes. It's common to get mudguards, a rack and even dynamo lighting in the package, which can save you a big chunk over buying them separately. Hybrids are great budget transport. You can pick one up for less than £150, and by the time you get up the price range to around £300 there are some really quite nice bikes. Bung even a £300 bike on Cycle To Work Scheme and you'll barely notice the payments disappearing from your pay packet. In fact, in many cities, you'll be better off. Compared to a London Zone 1-3 Travelcard at £153.60 per month, a £192.00 Bristol Plus travelpass or a Cambridge Megarider Plus bus ticket for £96, the repayments for a hybrid are trivial. An earlier version of this article included Tesco's Vertigo Tambora as a bike that was okay if just over £100 was really all you could afford. However, that bike is no longer available, and when it was last listed it was £220, which is an extraordinary price for a low-spec bike you have to assemble yourself. If your budget is that limited, you're far better off buying second hand. Let's take a look at some of your best budget choices in flat-bar bikes. Okay, so the Explorer isn’t truly typical in that it’s got 26in wheels rather than 700c ones, but that’s not necessarily a bad thing - those smaller wheels are stronger and the fatter tyres should give plenty of comfort and grip. It also comes with a rack as well as mudguards. Halfords list it for £173.99 but if you buy it click and collect they’ll build it up and give it a free service after six weeks, though they don't currently seem to have stock. 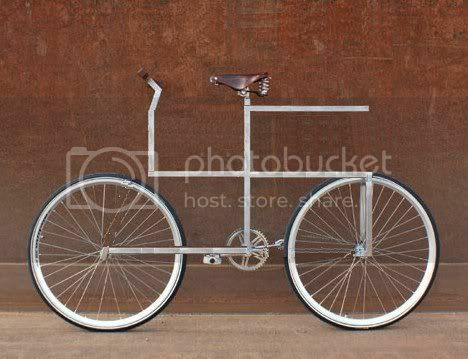 If you want something similar but with 700c wheels (and more gears) the Apollo Belmont (below) is worth checking out. The Belmont and women's equivalent the Elyse both have aluminium frames, mudguards, chainguard and rack, making them very practical urban and picnic transport. Halfords provides a free service after six weeks, and will put the bike together for you. Like virtually all bikes under the £300 mark, both have Shimano gears. In this case they're operated by twist-grip shifters, which control an 18-speed transmission for a wide range of gears. Unlike most hybrids, this pothole-basher has mountain bike size 650B/27.5in wheels, with lightly treaded tyres for round-town speed. The aluminium frame is hung with a Shimano gear set, combining a triple up front with seven out back for a big range of gears.​ It's a decent deal at its normal price of £300, but it's often discounted as low as £240, so if you're not in a hurry it's worth keeping an eye on the price. Because French-based sport superstore chain Decathlon sells bikes all over the Continent, its town bikes are tailored for European tastes, which means the Hoprider 100 has a feature that's rare on UK-specced bikes: dynamo lighting. The lights are powered by a generator in the front hub so they're always ready when you need them. You also get a gel saddle, mudguards and rack and the Shimano Altus mechs are a notch up in quality over the gears found on cheaper bikes. There's a low-frame version too. Raleigh unabashedly bills this as a European-style bike, saying: "On the continent people use their bikes everyday; cycling is not a leisure activity but a significant mode of transport. The bikes they ride are not built for speed but comfort and practicality and the Raleigh Circa line is this style of bike." After decades of UK bike companies saying it was hard to sell this sort of full-equipped bike here, we hope this is a sign that more riders are waking up to their sheer practicality. The frame's aluminium, as you'd expect and the 21-speed gear set shifts with basic but functional Shimano Tourney derailleurs controlled by EZ Fire trigger shifters. The B'Twin Hoprider 500 comes with everything you need to pootle round town, to the office or the shops or just round the park for exercise. It's not the lightest hybrid ever, but it's very well specced for the money. Off the peg, the Hoprider 500 comes with hub-powered lighting front and rear, mudguards, rack and kickstand. That's a great set of accessories for a hybrid (too often they're just a bare bike) and really makes this bike an excellent choice for commuting and other practical riding. The model up from the Hoprider 100, it has a suspension fork to improve comfort over rough ground, and the transmission takes a step up in quality to eight-speed Acera. Less obvious, but very welcome, it also comes with Kenda puncture-resistant tyres and trigger shifters rather than the twist-grips of the cheaper model. You even get a fairly decent set of metal-bodied pedals, a significant step up from the resin-bodied jobs found on most budget bikes. There's also a low-frame version. Read our review of the very similar B'Twin Hoprider 520. 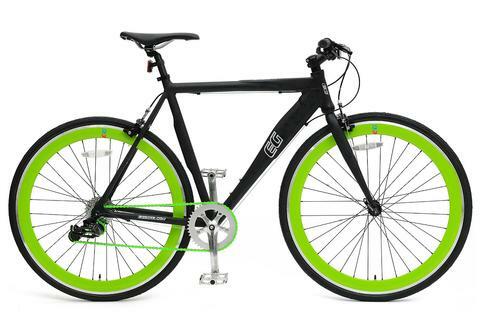 There are 8 types of hybrid bikes are described here with full features. i think this is a great attempt. All the stuffs of hybrid bikes is shown clearly in this article. Anybody can easily choose his/her best one from here easily. Awesome article about women's hybrid bikes, it helps to women's to find out cheap and best bikes. Jump to this link to browse this bikes with more details. Do they do an Apollo Bigot? I've never much liked the 700c/hybrid standard for utility bikes, much preferring 26". But then I'm not particularly tall. And after almost half a century of swinging my leg over a cross bar, I can't understand why step through frames have not become ubiquitous. Is this the sort of thing that you'd want, no need to swing your leg over the crossbar and easily identifiable by everyone? Apparently Corbyn fully supports this one. Or at least, he did until he looked at it more closely. Good riddance if he has. Wonder what it was that finally got him..? Shame to see anyone banned - even him. A bike with no light or no mudguards is not as cheap as it looks, actually.